With my busy schedule it would be impossible for me to maintain my healthy lifestyle if I was not organized. I am old-fashioned and need to write everything down. I depend on my calendar and to-do lists. I schedule everything including my fitness routine. When school started back up I told myself that I was going to make sure I worked out at least 5 days a week. After about a week I wasn’t able to keep up with the kids and set aside time for myself. Now that it is October my lack of exercise has taken it’s toll. I feel tired, sluggish and am having trouble sleeping. In order to have the energy I need to take care of my family I must get organized and take care of myself. 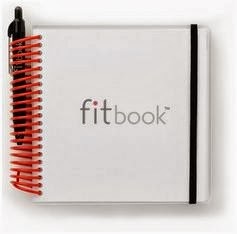 With the FitBook by Fitlosophy I am finally getting my workouts organized so I can reach my goals. Research has shown that people lose more than double the amount of weight in the same amount of time just by maintaining a written log of their progress. 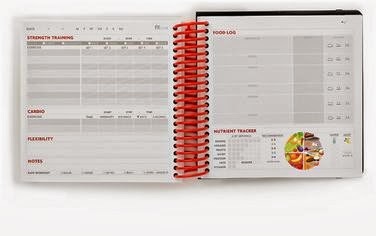 The FitBook is a 12 week journal that keeps track of your personal fitness plans and nutrition and reminds you to check your progress every week. I love how simple it is to use and the fact that I can write down my goals, fitness routines and keep track of my nutrition. I have used fitness apps on my smartphone but I did not find them very helpful. It is so much easier to write your goals down with a pen and paper. When I see my goals and progress written out it helps me stay motivated to continue with my healthy lifestyle. For more information on Fitlosophy and the FitBook visit: getfitbook.com. *Disclosure: I received the FitBook from Fitlosphy in exchange for this review. All opinions are accurate and 100% mine.